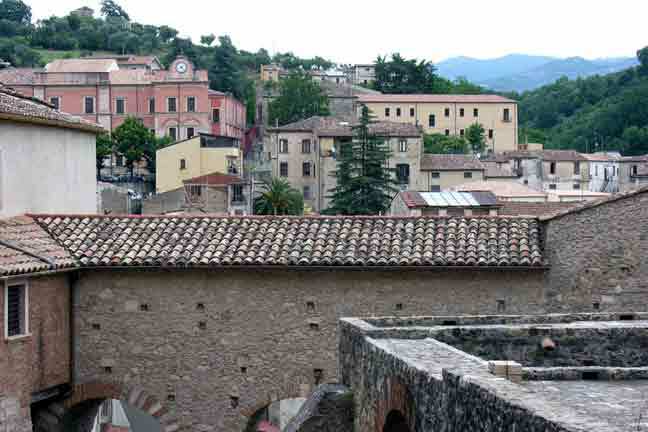 The province of Cosenza is the largest of five provinces that comprise the region of Calabria, which is the ancestral home of the Mazzuca family. 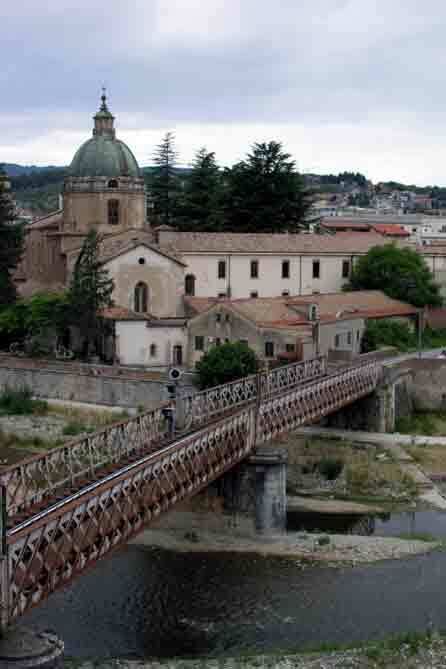 Cosenza in a city located at the confluence of two rivers, the Crati and the Busento in the province of the same name in the region of Calabria, which is the southernmost region on the mainland of Italy. 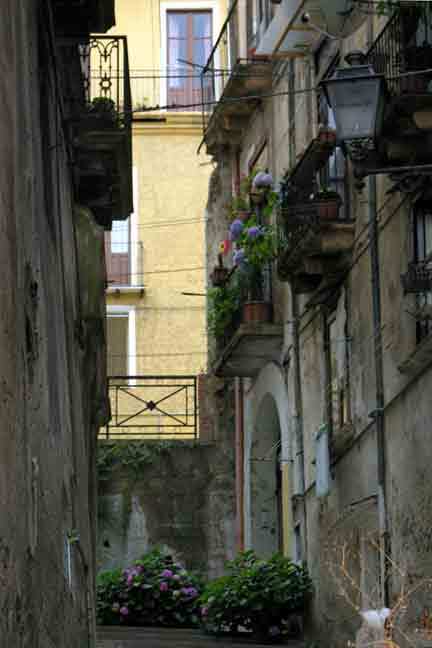 We walked around many alleys while in Cosenza and in Italy and below left is a pedestrian only walkway, although some very narrow alleys were for automobile traffic also and below right is looking over the Busento River at the Church of San Salvatore.